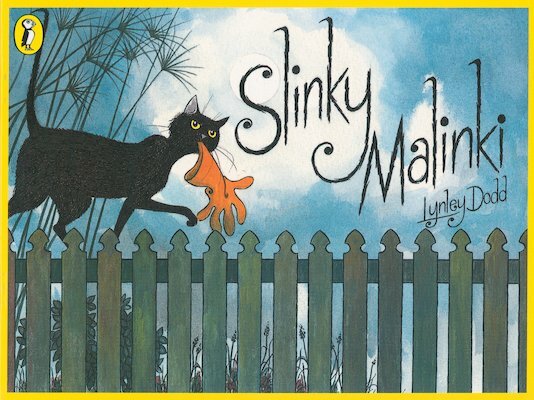 Slinky Malinki is blacker than black, a stalking and lurking adventurous cat. 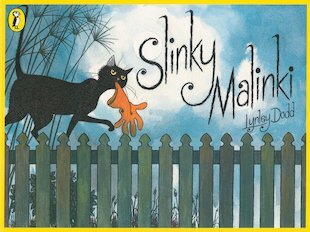 Slinky Malinki will slink off with anything he can steal – whether it’s a clothes peg, a slipper, or a string of tasty sausages. Slinky Malinki slinks about like a shadow in the dead of night. Our hero is a BAD cat! A magical story told in rumbustious rhyme and dramatic twilit pictures.